X431 iPhone information including X431 iPhone review and different X431 iPhone version introduction. Launch MD4MyCar is a plug and play device which allows you to wirelessly connect your vehicle’s onboard computer to your iPhone or iPod touch.It can be used to diagnose all the vehicles compatible with OBD2. Connection is made through your vehicle’s diagnostic socket(obdII) located near or under your steering column. 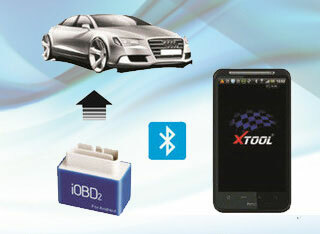 The following App is compatible with MD4MyCar. MD4MyCar Iphone is a new scanner LAUNCH Company well-developed with which the current most popular cell phone, iPhone can be used to diagnose the vehicle faults. The product is suitable for the vehicles that supporting OBDII/EOBDprotocols, after it”s connected with the vehicle diagnostic interface, it can realize the wireless data interaction with the user”s iPhone to achieve the automobile fault diagnosis and engine data reading. The Product is with an exquisite and delicate appearance, and can be installed on the vehicle for a long-time. 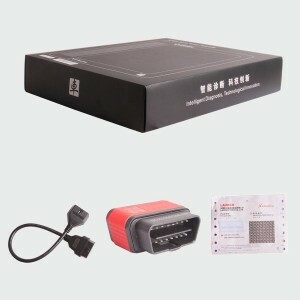 The user-friendly software interface is very easy to operate. 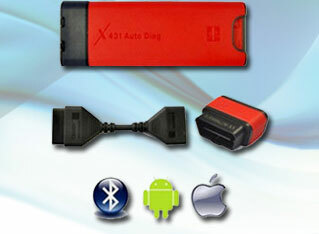 MD4MyCar is the perfect companion for your iPhone and the best choice for the car lovers! 1 Easy to use with one plug-in. 4 Retrieves the vehicle identification number(VIN) on support vehicles. 11 Choice of the protocols is carried out automatically and is transparent to the users. 12 Easy-to-use and upgradeable software for iPhone or iPod touch. 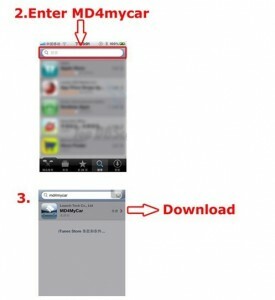 How to find Launch MD4MYCar App?